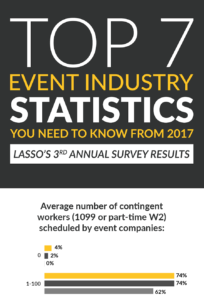 In LASSO’s 2nd annual event industry survey, the highest ranked concern uncovered among leaders was remaining competitive with their workforce. 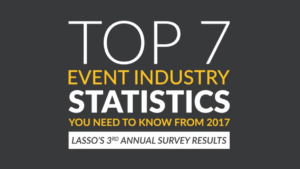 Check out the results below and click here to view the full survey analysis as well as find out why Event companies have turned to LASSO’s event workforce management software in order to help ease this concern. 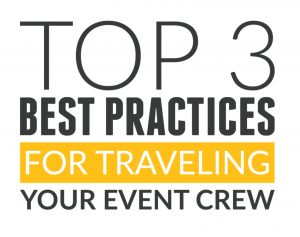 Remaining competitive with quality crew members is obviously a cause of anxiety for Event companies. 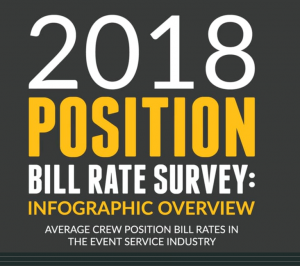 This industry is more competitive than ever – whether its customer demands or retaining high-performing crew that directly impact your company’s success. 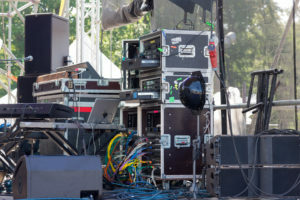 In our blog post, “5 Simple Ways to Keep Quality Event Crew Members Coming Back”, we asked some of the industry rock stars what keeps them happy. 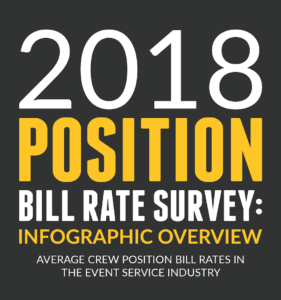 It is no surprise they told us that effectively communicating the ever-changing event details and getting paid quickly keeps them coming back. 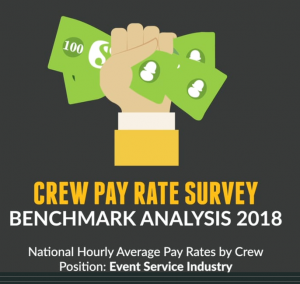 How else can you keep the best people on your crew roster? You’ve probably guessed it….competitive pay rates. 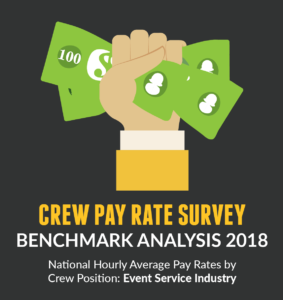 Check out LASSO’s Crew Pay Rate Survey Report and compare your compensation lineup with what the industry is paying the following positions: Producer, Stage Manager, Technical Director, Video Engineer, Graphics Operator, Pandora Operator, Spyder Operator, Lighting Director, Audio Engineer 1 or 2, Projectionist and Camera Operator. Let’s face it, you rely on your people…they are your biggest success factor in an industry where competition is fierce. Growing your bench strength and keeping it strong is a determining factor in your success. 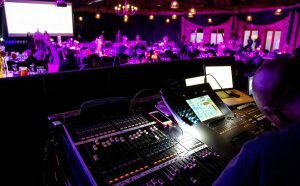 At the end of the day, crewing a successful event still comes down to having good people in your database. 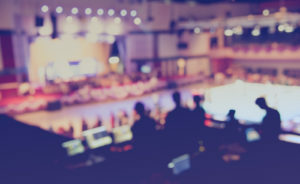 By utilizing LASSO’s event workforce management software, you can now streamline your process – everything from onboarding, to determining crew availability for your events, to scheduling, communicating with, tracking time, and more. You will also gain access to all of the data and analytics that could impact your costs, right at your fingertips, so that you are sure you are making the best decisions for your company. 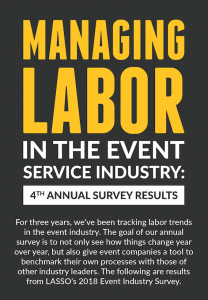 How concerned are you about remaining competitive with your workforce? Request a demo today and let’s discuss how LASSO can help.